The hypocrisy of liberal women towards conservative women has officially crossed the line from “kind of bitter” to full blown hate. Liberal women are the first to throw a tantrum claiming we all need to work together to build up other women and stand in solidarity. But the latest tasteless art exhibit in DC seeks to mock Ivanka Trump by portraying her, and frankly all other women into an unthinkable stereotype. The exhibit literally named “Ivanka Vacuuming” shows a woman resembling a striking image of Ivanka Trump vacuuming up crumbs. 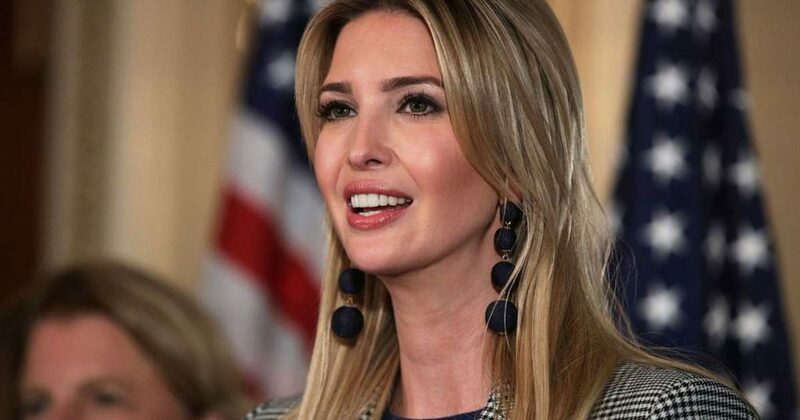 Dressed in high heels and running her vacuum on a pink carpet, the Ivanka lookalike has a permanent smile and strolls around cleaning up crumbs. The crumbs are settled on top of a pedestal, and visitors to the exhibit actually take the crumbs, then throw them at Ivanka to clean up. The creator of the exhibit Jennifer Rubell denies her “art” exhibit is sexist and claims it’s pleasurable to watch the Ivanka lookalike in her high heels and dress vacuum up crumbs. Not only is this exhibit anti-women, it’s flat out insulting. This sexist exhibit seeks to mock Ivanka Trump and belittle her. Even though it is about Ivanka, this exhibit insults women everywhere. When asked her thoughts on the exhibit, Ivanka responded with class, as she always does. Ivanka is a shining example of how a truly strong and powerful women acts. Instead of stooping down to a back and forth war, she took the high road. Being pro-women doesn’t mean you need to tear others down or seek to dim the light of others. And it definitely doesn’t mean creating a tasteless exhibit to draw attention to yourself. Women should work to build one another up, and while there are policy disagreements, the left’s obsession with needlessly attacking conservative women is really getting old. In addition, you better believe if there was ever an exhibit like that attacking the daughter of a liberal President, there would be riots in the street. But Ivanka’s response of grace and class shine bright setting a precedent for other women to follow. And being classy never goes out of style. What are your thoughts on the new “Ivanka Vacuuming” art exhibit? Why do you think liberal women are so determined to tear down conservative women?